Future Sounds Asia is bringing Dutch electro house heavyweight Tiësto back in Malaysia for an unforgettable intimate show dubbed “Live Your Music presents Tiësto”! 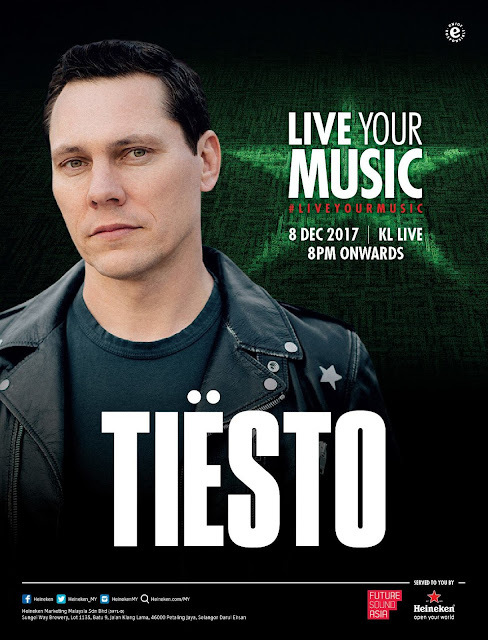 As one of dance music scene’s highest grossing stars, Tiësto is one of the most exciting and sought after performers on the live circuit, earning himself a well-deserved reputation for his ground-breaking and genre-defying live DJ sets. 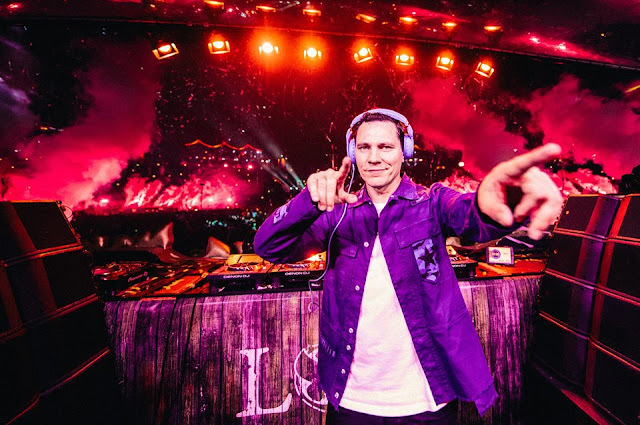 Regarded by many as the “Godfather of EDM”, Tiësto has played at numerous festivals and outdoor shows to audiences numbered in the hundreds of thousands. The 48-year-old last came to Malaysia in 2013, now he is ready to present his new infectious beats to Malaysians once again at KL Live on 8 December 2017. The event will see KL Live transformed into a-one-night-only superclub that will take its design and production inspiration from some of the world’s top venues. “To see a star like Tiësto in a venue the size of KL Live is a once-in-a-lifetime opportunity for many of the fans who support our shows. It’s the kind of experience you could normally only have in the world’s superclubs,” comments Ben Law, Managing Director of Future Sound Asia. “For one night, we’re inviting our fans to live their music with an incredible highroller superclub experience where they can enjoy this amazing DJ and performer in an entirely new way,” he added. Before the main star takes the stage, the show will present some local flavours during the night with an all-star cast of Live Your Music insiders including Goldfish & Blink, Bate, Jhin, Hypeembeats and Hulkas to warm-up the stage. Tickets for the event will be on sale from 10 October onwards at boxtix.asia, going at RM168 (Phase 1), RM188 (Phase 2), RM218 (Phase 3), and RM258 (VIP).